I congratulate Dr. Masarrat Ali on launching the "Sir Syed Today" initiative. Dr. Masarrat's contribution to FAAA and AMU provides Aligarians an opportunity to spread the noble message of Sir Syed Ahmad Khan globally through the Internet, the most powerful media tool today. 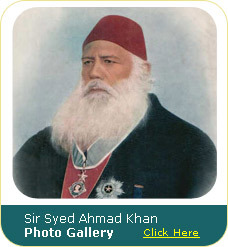 Digitizing the books and literature that chronicle Sir Syed Ahmad Khan's philosophy, educational endeavors, reforms and steps for social upliftment is an enormous undertaking. The Aligarh Movement Sir Syed started at the end of the 19th century, to spread education among South Asian Muslims, is as relevant today as it has ever been. 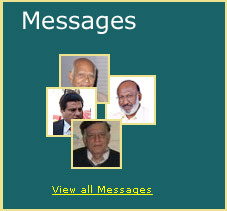 Aligarians have a moral responsibility to re-launch the Aligarh Movement in underprivileged societies around the world. Sir Syed was not only an educational reformer, but a great visionary who liberalized religious thinking and promoted tolerance and pluralism. Prosperous, educated Muslims of the West would do well not only to emulate Sir Syed's example but also promote the Sir Syed model of rational thinking, tolerance and broadmindedness throughout the World to counter the distorted image of Islam prevalent in the West. I applaud Dr. Masarrat for his efforts to make Sir Syed's valuable documents readily available to the public.